Our new mission is dedicated to All Saints of North America (ASONA), an amazing group of Christians who labored, witnessed, healed, lived, struggled, and died witnessing for Christ Jesus our Lord. Our parish launched in fall of 2017. We are Orthodox Christians, and part of the worldwide Orthodox Church – the oldest Christian Church in the world. And in every part of the world, there are Orthodox Christians, Churches and missions: in traditionally Orthodox countries like Russia, Greece, Romania, Serbia, the Holy Land, the Middle East, but also in Japan, China, the Philippines, Australia, throughout Europe including Germany, France, Poland, Finland, across the British Isles, throughout the African continent including Ghana, Nigeria, Tanzania, Uganda, South Africa, India, Pakistan, Malaysia, and across Central and South America. We are the only church with a chapel at both the North and the South Poles (we have two in Antarctica, actually). 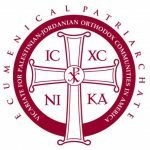 All Saints of North America Orthodox Church is a parish of the Vicariate for Palestinian/Jordanian Orthodox Christian Communities the USA. كنيسة جميع قديسين أمريكا الشمالية الأرثوذكسية. أحد رعايا النيابة الأسقفية الفلسطينية الأردنية الأرثوذكسية في أمريكا. Would you like to know more about how to join ASONA?